CULVER CITY, Calif. (February 12, 2019) –Two-time Academy Award® nominee Steve Coogan (Best Motion Picture of the Year and Best Writing, Adapted Screenplay, Philomena, 2014) and John C. Reilly, who received a Golden Globe® nomination for Best Actor in a Motion Picture Musical or Comedy for his performance, star as the slapstick comedy legends Stan Laurel and Oliver Hardy in STAN & OLLIE arriving on digital, Blu-ray™ & DVD March 26 from Sony Pictures Home Entertainment. The film follows the pair through a farewell tour across the U.K. as they attempt to re-connect with both their fans and each other. 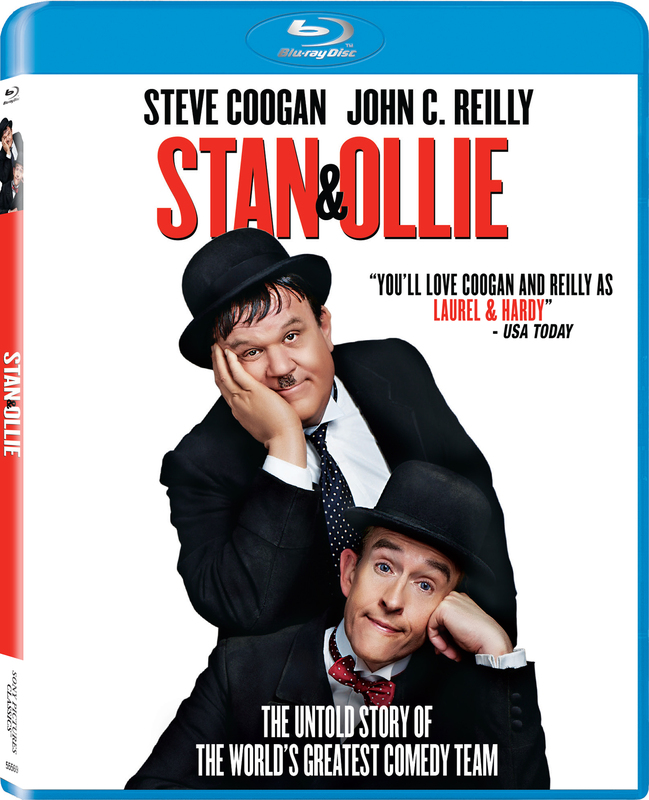 STAN & OLLIE is directed by Jon S. Baird (Filth) and also stars Nina Arianda (Florence Foster Jenkins) and Shirley Henderson (Harry Potter and the Chamber of Secrets).